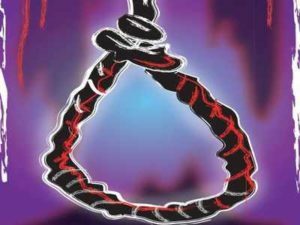 Police Report: A 27-year-old woman constable committed suicide inside the Sanchore Police Station in the district of Jalore, Rasthan. On Thursday night, Lady Constable Geeta Vishnoi was found hanging from a ceiling in the Sanchore Police Station. The police said that Geeta sent a message to her brother and said that her senior marked her as absent on Holi, which disturbed her. 27-year-old Geeta Vishnoi lived alone in her quarters. The body of Geeta Vishnoi has been sent for an autopsy and the police have launched a probe for the case.